World Bank (WB)-funded projects in Ho Chi Minh City have helped fuel socio-economic development, upgrade traffic facilities, improve the environment and supply water to city dwellers. The municipal People’s Committee said since 1993, the city has carried out 10 projects funded with nearly 11.04 trillion VND (some 669 million USD) by the WB through official development assistance (ODA). 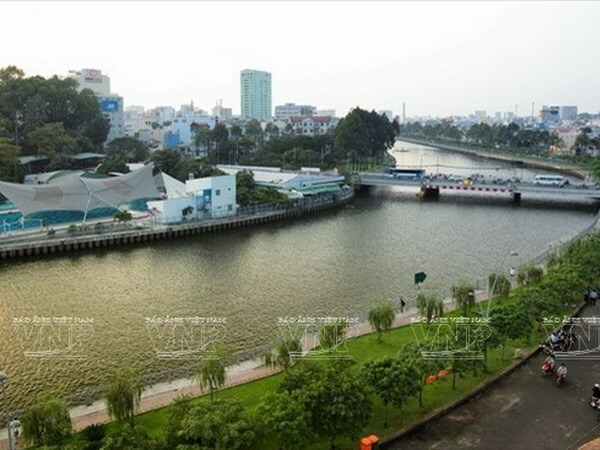 They included a project worth almost 5.55 trillion VND (over 258 million USD) on upgrading the environmental condition along the Nhieu Loc – Thi Nghe canal. Another project valued at 703 billion VND (nearly 32.7 million USD) helped enhance the efficiency of the local water supply system management while reducing water losses. Meanwhile, the WB also financed 5.6 trillion VND (260.5 million USD) to efforts in bettering the environment and living conditions in certain areas. The People’s Committee said though most of the WB-funded projects were large-scale ones and focused on infrastructure building and environmental improvement, the offered ODA has yet met local demand for development investment, especially in some prioritised areas such as urban railway and road facilities. The authorities admitted shortcomings in ODA attraction, management and use such as the prolonged preparations for projects, that usually leads to adjustments during the project implementation, which in turn will augment expenses and make the targeted group unable to gain project benefits as scheduled. Additionally, the sluggish ground clearance and compensation have also hindered the progress of ODA projects. The HCM City People’s Committee has asked the WB to prioritise its funding to road construction, public transport vehicles like urban railways or bus rapid transit system, addressing environmental pollution, collecting and treating waste water, upgrading drainage networks, and coping with climate change. The city also suggested the bank increase the number and scale of projects and diversify forms of assistance provision.